Kinetic Theatre’s productions are becoming a regular fixture in Wicid.TV’s calendar and deservedly so. 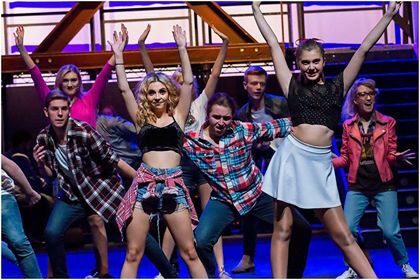 Following fabulous renditions of A Chorus Line, Legally Blonde and Rent, Kinetic’s latest production is a musical take on the 1984 film Footloose, starring Kevin Bacon, Lori Singer and John Lithgow. The story follows Ren McCormack, a free spirited high school senior, whose life in Chicago is uprooted as he and his mother move to a tiny town named Bomont. 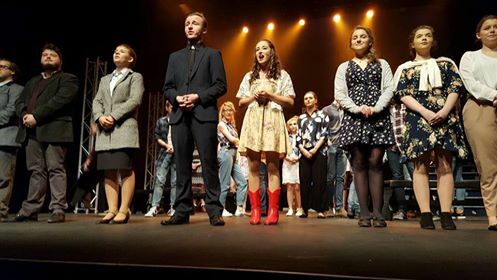 Due to an accident which resulted in the death of four youths, the town is under strict laws banning youthful music and dancing, primarily enforced by the influential Reverend Shaw Moore. In a rebellious quest to liberate the town, Ren, aided by the reverend’s daughter Ariel, has run-ins with bullies, teachers and other townspeople who are equally keen to uphold the oppressive rules. 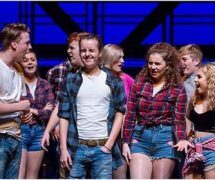 Admittedly, I was dubious as to how Footloose would work in the musical format, but I was pleasantly surprised and impressed with the well balanced plotline and depth of characters. The musical explores and touches upon interesting relationships and dynamics a little more than the film did, which adds an element of drama and greater depth that the original arguably lacked. For example, the relationship between Reverend Moore (Jack Davies) and his wife Vi (Gwen James) was portrayed excellently. 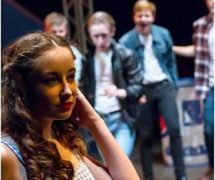 Ren (Jack Meek) and Ariel (Georgia Tonge) led the line superbly and displayed real emotion in their characters. Ariel’s relationship with her father was an interesting watch and the pair’s characterisation was exemplary – watching their relationship develop over the course of the show is a rewarding and relatable experience and the tension between them is built up perfectly. Special mention must go to Jack Davies for what I’m hoping was intentionally impersonating John Lithgow – if not, it’s a wonderfully uncanny coincidence how much he resembled the original Reverend Moore at times. 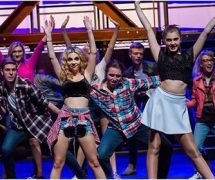 The vocal performances of the entire cast were very impressive as is so often the case with Kinetic’s performances. 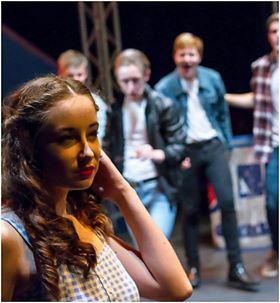 However the standout performance came from Rusty (Georgia Miller) as she showcased her excellent voice, leading on numbers “Somebody’s Eyes” and “Let’s Hear it for the Boy.” Similarly, “Mama Says” performed by Willard (Cerith Freeman), Bickle (Llewys Brewer), Garvin (Ethan Davies), Jeter (Thomas Price) and Ren was particularly resonant and drew collective giggles from the audience. 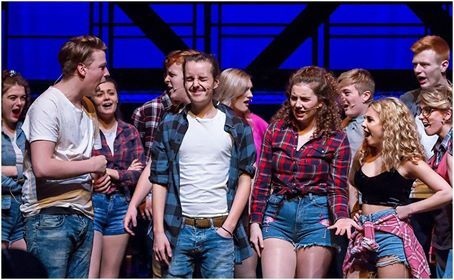 The live band was exceptional and significantly added to the performance, particularly filling the voids between scenes and set changes. It can’t be underestimated how much of an influence a live band has on a musical and Kinetic’s decision to continue this trend is paying dividends. 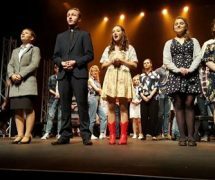 Kinetic Theatre Arts, under the directorial guidance of Kris Crowley have again produced a heart-warming, energetic and well-executed musical. I very much look forward to the next one!